I love bananas. So do the kids, which means that despite the fact that I can’t stand them with any green or even a touch of brown and will only eat them for about a 2 hour period, we very rarely have any that are overripe and need using. 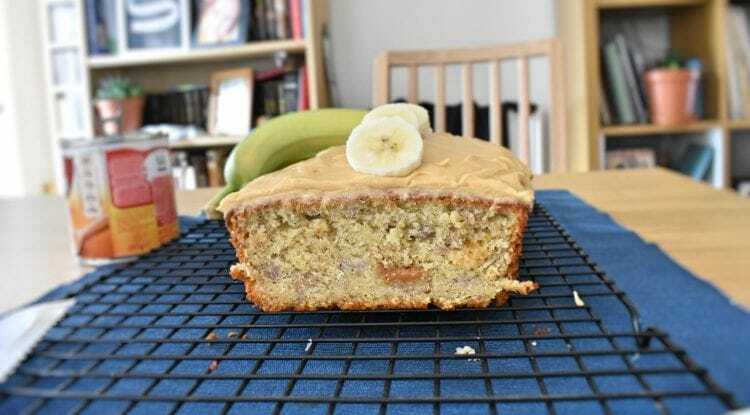 When we do, they tend to go in banana bread, which is one of my favourite easy cakes, that I like to think you can get away with having for breakfast, because, you know, fruit. I’m also a huge fan of a classic banoffee pie. I’ve got such a sweet tooth, and the combination of caramel, banana, and cream is just perfect. What with my love of banoffee pie, and banana bread, it’s amazing that I’ve never thought to put them together before. I did briefly consider a round banana cake, with a toffee centre. Sort of a super banoffee Victoria sponge style thing. But, I still can’t make a round cake. I keep trying, we eat so much cake in my attempts to improve. But I just can’t do it. 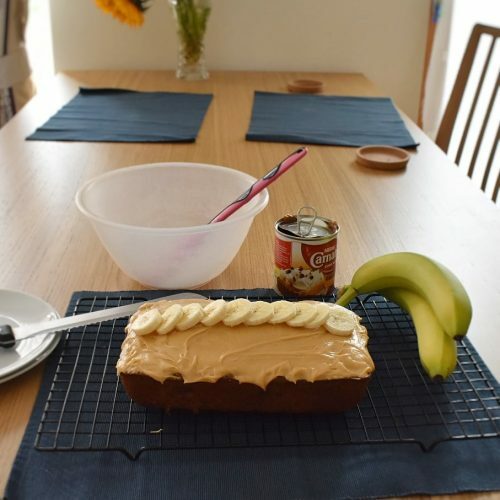 So, instead, I decided on a Banoffee Loaf Cake. I love a loaf cake. You might have noticed. They’re simple, moist and soft, and for some reason, they always work, even when you are awful at cake like me. With just a simple recipe, you can add loads of variation and come up with different flavours. It’s brilliant. 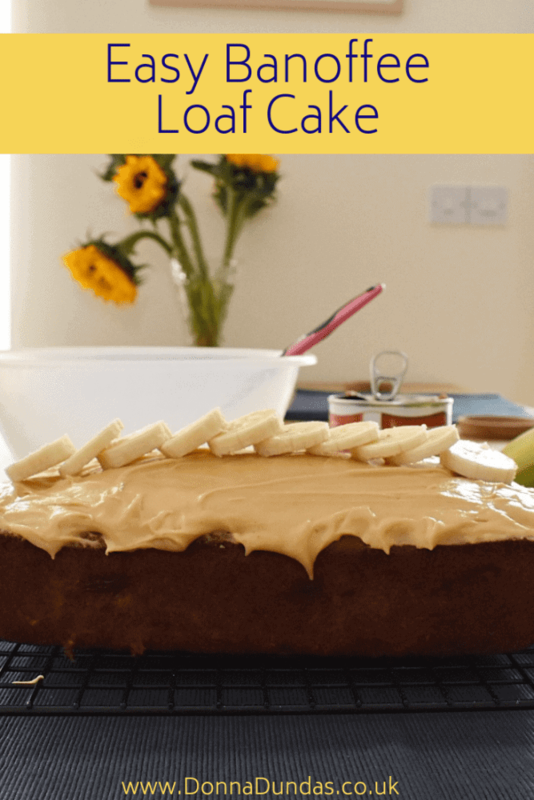 I should warn you that this Banoffee Loaf Cake recipe is super sweet. If you don’t like really sweet cakes, you might not like it. 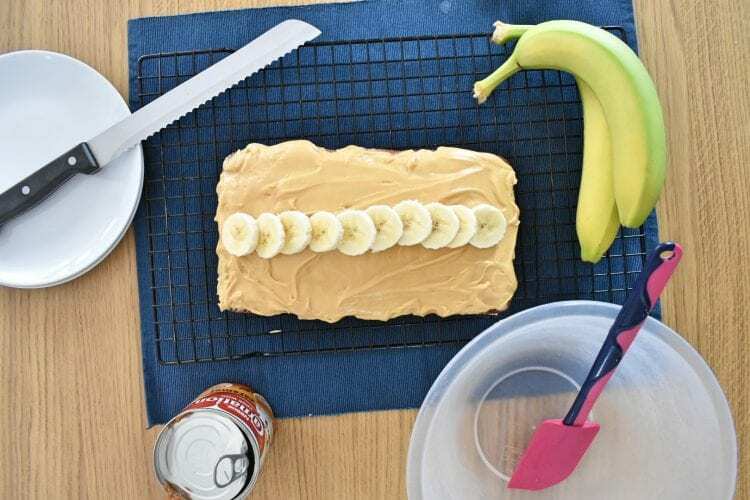 You could cut the sugar out of the cake to reduce it slightly, but with the bananas, caramel, and buttercream, it’s still really sweet. Personally, I love it, because I can’t get too much sugar. But I appreciate that this might not be for everyone. 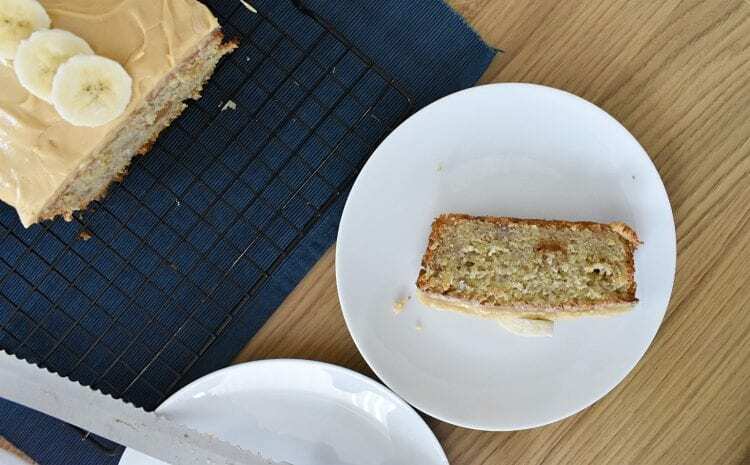 A super sweet and moist loaf cake with fantastic flavours.